How do you overcome the major incentive problems with means tested super? Work hard, pay lots of tax (compounding fwd), save, spend wisely and get ...... nothing. The current tax bargain (in my view) includes a late-life rebate called super. So we should discuss tax reform and tax reduction too? The influence of hand-colouring in early print. A hand-coloured aesthetic emerged through photochromes (chromolithography) ... likely because the lithographers and printers were used to a hand-coloured world. The photo on the right was quite possibly taken by Leo White (but not confirmed). Interesting comments thx Ian. I have a coloured-glass-slides book in my sights, so would be keen to connect on that. 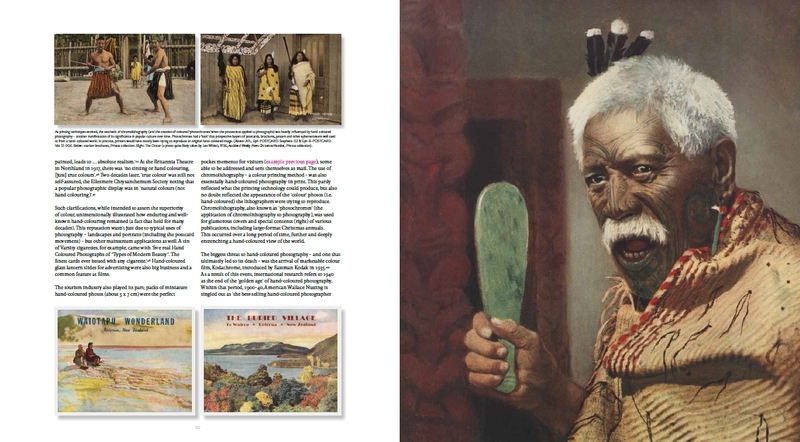 I included a couple in this book (spread above), while canvassing the evolution of hand-colouring in NZ to contextualise Whites’ work, and I will include a few more in the next book on hand-colouring photography in NZ more generally. Though, fundamentally, I’ve separated slides in my frame of reference from printed photos (accepting that others would keep them defined together). I also talk about photochromes (application of chromo-lithography) and how they helped cement a hand-coloured world through magazines and ephemera. All part of the storyline in my view. Some may find the Colourising New Zealand Facebook page of interest. Brendan Graham, Colourising New Zealand, digitally coloured a photo specially for the book - and did an incredible job. I felt the book had to dip into digital colouring to recognise the relevance and influence of hand colouring in contemporary culture. In the sensitive-age-of-now, just confirming that in Grace's eyes and own words, she worked with the girls. Colouring Girl was the original title for a chapter in the book (about Grace, with title sanctioned by her). The title in the book changed for another reason to 'One of the Girls', which has a double meaning in terms of Clyde Stewart, Mr-Hand-Colouring-New-Zealand, being referred to in one of my interviews as 'one of the girls'. Stewart ran the studio and employed and mentored the 'girls' ... and they loved him. He ran colouring at Whites for 37 years and was also chief photographer. Without diminishing Leo's amazing leadership, Stewart is Whites' unsung hero. I’ve just learned that Whites Aviation was the company of Leo White – whose grandson is ace news and feature photographer David White. That’s right Russell. I interviewed Ross and he has been a great supporter of the book and very encouraging to me personally. I’d like to meet David at some point; he took a great photo of my day job CEO recently! Leo White was quite a man ... perhaps a blog on him alone in a few weeks!!!! I’m gunning for Leo to enter the NZ Business Hall of Fame, he deserves to be there. Lucy, thx for constructively raising this concern (without an anti-Kevin-Roberts bite!) – I can understand your view. I thought with the scene-setting around ‘girls’, the context for the piece was clear but, given your fair feedback, I hope Russell will be so kind as to add some quote marks throughout. Thx Lucy. Russell, I'd like to see you write something on this from the perspective of (un)ethical investing by rental property owners (which must be a reasonable chunk of the demand). What is the societal value generation from owning rental property? It has no productive purpose in terms of new (or better) products or services (even domestically before foregone export earnings are factored in). How will these people feel in their retirement rockers knowing they just feathered their own nest now to the detriment of others more needy in the community (both now and future generations) - the wealth transfers (as distinct from wealth generation for NZ) in this sorry saga re huge. Property may be a lucrative investment, but it is ultimately a choice as to whether - all options considered - it is an ethical best. Ethical investment - think sweat-shops, carbon-intensity, rainforests and drug-taking sport-'stars' - is a big global issue: is anyone talking about it in Auckland with respect to their fellow citizens? Is there any information on when/where the Selling the Dream exhibition is coming to Auckland? Sadly no Auckland venue yet but Canterbury Museum are still exploring it. Be great show for Auckland Museum. Is at Hastings now or soon, will also go to Hamilton, few mins down the motorway. 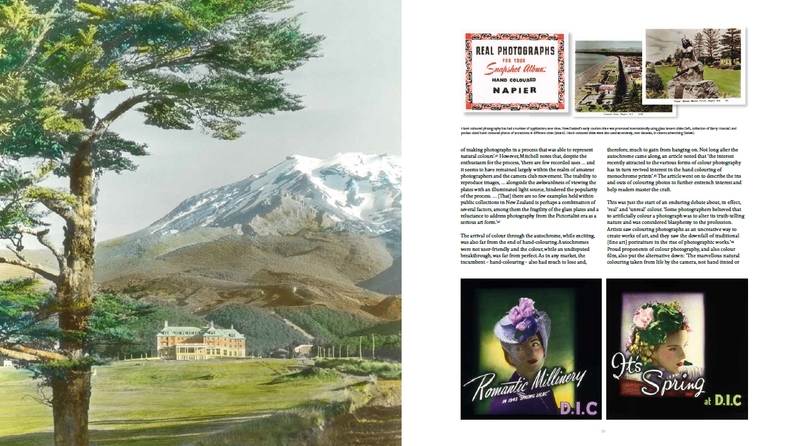 Re prints, I should have also thought to mention that the Alexander Turnbull Library is a great source for ordering image prints.